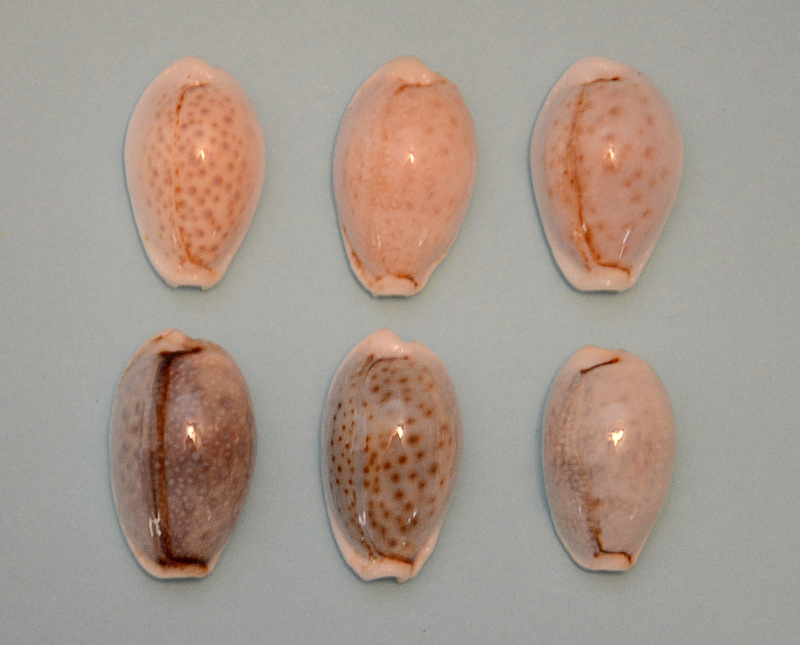 Cypraea (Erosaria) boivinii (Kiener, 1843) Beautiful hand selected set of 6 from the Philippines. Bottom right is the typical most common color form. Specimens with full length colored mantle lines are very scarce. The French naturalist Amedée Boivin, 1797- 1881, who collected Conidae and published at least one paper on Conus in 1864, is honored in the gastropod names Erosaria boivinii (Kiener, 1843), Anachis boivini (Kiener, 1841) and Conus boivini L. C. Kiener, 1845. A few other molluscs are also named after this person. (Andrew Vik, Tampa, Florida, kindly provided this information). Our thanks to Linda Ebeling and Richard Kent (as always) for their donations to the Raffle Table at the April meeting. Richard also supplied this month’s feature shell….as always, and they are always superb shells.